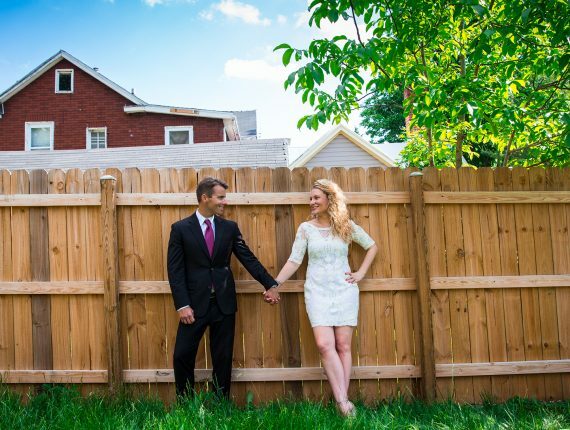 One of the great things about choosing to elope get married in Winchester, Virginia is that you can get your marriage license, get married, and have some great scenic photos taken all within a few blocks of one another! The Winchester Circuit Court (located on 5 N. Kent St.) is where you can easily get your marriage license within 20-30 minutes. The court is open Monday through Friday from 9 a.m. to 5 p.m. (closing for some holidays). Once you have your marriage license I can marry you right at the courthouse if you like. However if you are looking for something a bit more scenic with a couple of photos or an extended photo session, then literally right across the street from the court is Old Town Winchester on Loudoun Street. This section of Winchester is known as the “walking mall” and is home to all sorts of eateries, shops, and dine-ins. It is closed to traffic (hence the name walking mall), and is a perfect place to not only exchange your vows among quaint historic buildings, but also have your photos taken to commemorate your elopement wedding. Jesse and Ashley chose to do exactly this and I was honored to serve as their wedding officiant and photographer in Old Town Winchester. “They look amazing!!! We are so happy!! !” – Jesse and Ashley M.